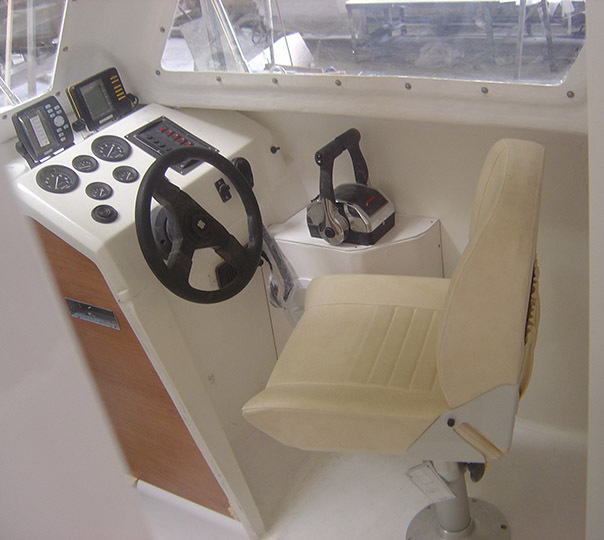 Navigation aids, communication facility and signaling means. 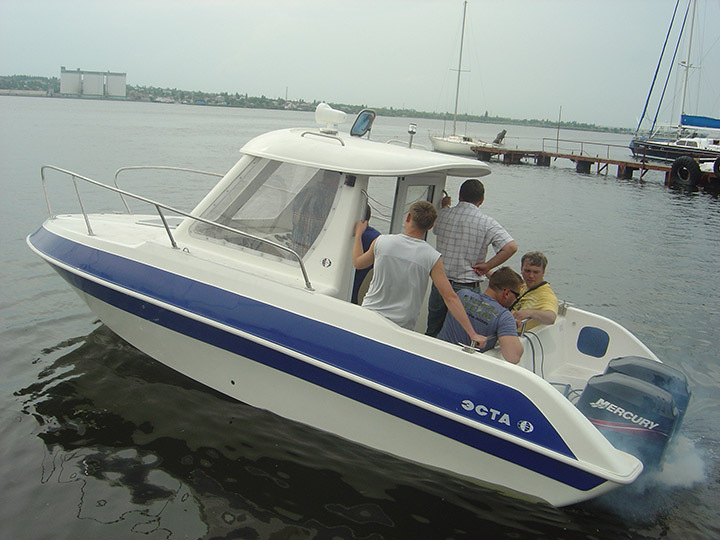 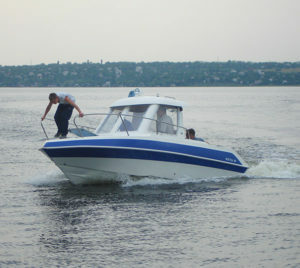 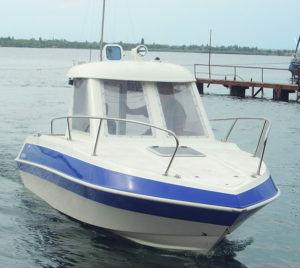 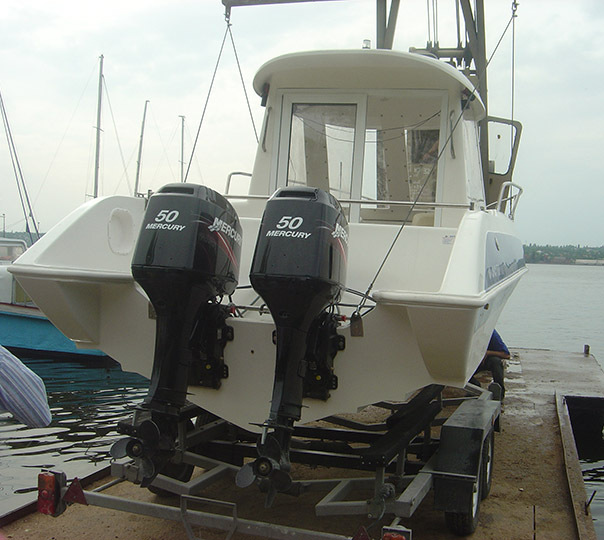 The high-speed fiberglass skimming motorboat is designated for: pleasure voyages and fishing and operation in the coastal area and in large water reservoirs at the wave height up to 0.5 m. Unique bottom outlines provide high hydrodynamic features, easy gliding start and excellent stability on route. 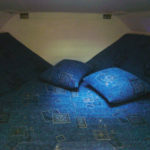 The cockpit is equipped with soft seats, the stern settee is made as a single piece. 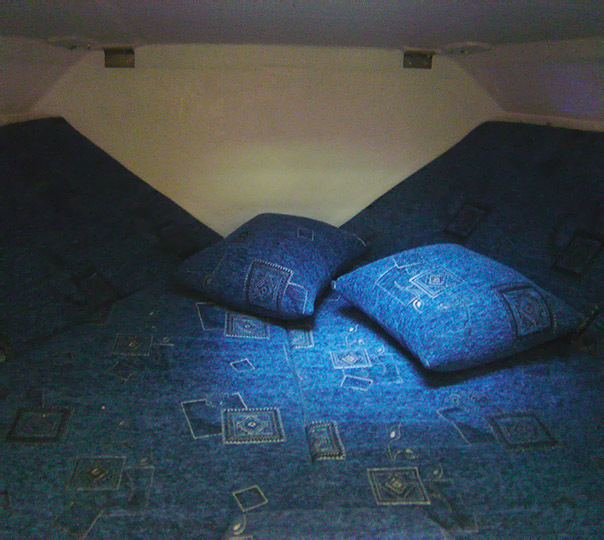 For passenger comfort, the cockpit can be covered tightly with an awning.